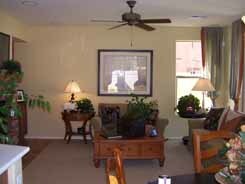 Click here if you would like to view another Peoria Arizona new house at this community. 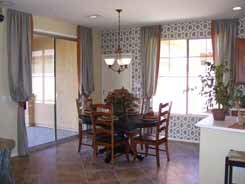 When searching for a new house for sale in Arizona, the Knolles model could be a perfect option for you. 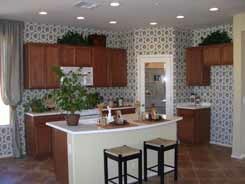 Maracay Homes builds this model at their Cresecentviews at Sonoran Mountain Ranch development. The development is located in the north part of Peoria Arizona near Jomax and 67th Avenue. The Knolles model is part of Maracay's flex design program. You could design this new home to have up to four bedrooms. This is a patio home. There is almost no backyard. That is a problem for some, but very nice for others. So if you are looking for a low maintenance options when it comes to yard work I would highly recommend you visit this gated community. Please take a look at the Knolles floorplan. I also uploaded a virtual tour of this home. 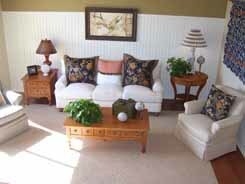 I think virtual tours are great because you can really get a feel for what the inside of the home is like. I do apologize though. There is music in the virtual tour that I can not turn off. The base model has three bedrooms (all of them upstairs), a family room, living room, and a nook. 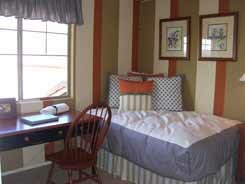 There are options to add an additional bedroom or den in place of the living room. The home starts at approximately $227,000 at the time I wrote this. 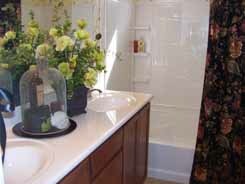 When I tour model homes I try to take photos and upload them here so that you can view them as well. Normally I make all the pictures clickable so you can view larger photos, but I figured you would likely spend more time viewing the virtual tour so made the photos a little larger than normal and didn't make them clickable to save some web space. 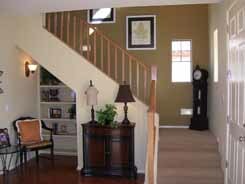 The layout of the floor plan in this new house for sale in Peoria Arizona is nice. Everyone looks at things differently because everyone has different tastes and different needs. This is just my opinion, but to me because this is a two story home and it is only 1,737 square feet the home feels small. It is just very compact. 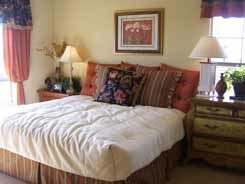 All the living space is downstairs and all the bedrooms are upstairs. I am sure this is a great home for someone, but if you need four bedrooms I bet you need a bigger house. On the flip side I am sure someone would see this home as using the space very well. Follow this link if you would like view another new house at this development. I strive to have the best Peoria Arizona new homes section on the web. If you would like to expand your search and look at other Peoria Arizona new homes for sale please feel free. If you are ready to go visit this community please give me a call. I am always ready to go look for a new house.